Please join us for the second official Ottawa March to Close All Slaughterhouses (MTCAS). 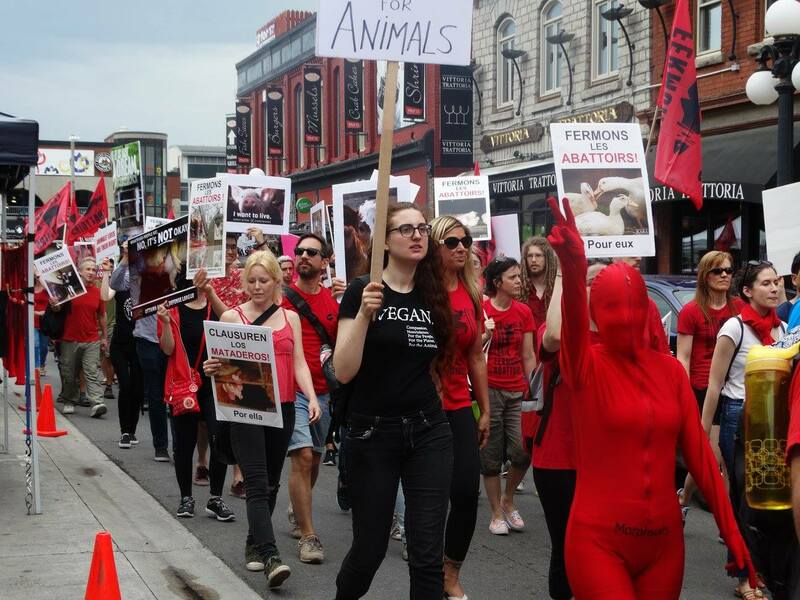 On Saturday, June 23 we will take to the streets of Ottawa our message that we must stop the unnecessary and cruel slaughter of farmed animals everywhere. More details will be provided (event Facebook), but we wanted to make sure you had this date and time in your calendars. The March will be followed by other AR events to make this a full day of collaborative AR activism in Downtown Ottawa. The march is organized by Ottawa march to close all slaughterhouses.